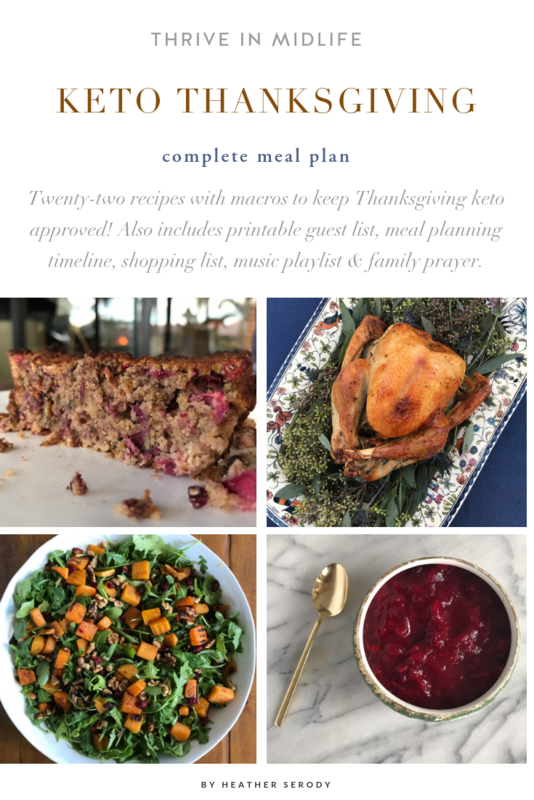 I created a keto Thanksgiving Meal Plan to help you transition over to a complete keto-friendly low-carb Thanksgiving meal without sacrificing any taste. 1. 22 recipes with macros: 2 appetizers, traditional roast turkey, gravy & stuffing, 5 sides, and two desserts. 2. A handy printable headcount list & turkey size calculator. 3. Meal planning timeline to help you plan ahead, cook recipes ahead of time and stay organized. 4. Special items Amazon shopping list to make buying special keto ingredients easy. 5. A Thanksgiving Spotify playlist. 6. A printable Thanksgiving family prayer. My keto Thanksgiving meal plan saves you from eating between 280 – 718 carbohydrates and is a great way to stave off the beginning of the dreaded holiday weight gain. Large men or very active people might want to actually eat more than the recommended serving. As always adjust this guide to your personal goals and macros for your holiday celebration.